Nobel laureate in economics Joseph Stiglitz looks at why non-US citizens around the world favor an Obama victory and outlines the reasons why they are right to do so. "American “exceptionalism” may sell well at home, but it does poorly abroad". NEW YORK – Most people around the world will not be able to vote in the United States’s upcoming presidential election, even though they have a great deal at stake in the result. 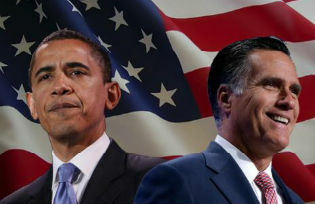 Overwhelmingly, non-US citizens favor Barack Obama’s re-election over a victory for his challenger, Mitt Romney. There are good reasons for this. Romney’s proposed contractionary policies – the attempt to reduce deficits prematurely, while the US economy is still frail –will almost surely weaken America’s already anemic growth, and, if the euro crisis worsens, it could bring on another recession. At that point, with US demand shrinking, the rest of the world would indeed feel the economic effects of a Romney presidency quite directly. American “exceptionalism” may sell well at home, but it does poorly abroad. President George W. Bush’s Iraq war – arguably a violation of international law – showed that though America spends almost as much on defense as the rest of the world combined, it could not pacify a country with less than 10% of its population and less than 1% of its GDP. Consider, for example, the three issues that are at the center of the global agenda mentioned earlier: climate change, financial regulation, and trade. Romney has been silent on the first, and many in his party are “climate deniers.” The world cannot expect genuine leadership from Romney there.